It’s been a little while since the last episode of the Construction Industry Podcast, but I wanted to let you know that the show must go on! Today I bring you a fascinating talk with Brent Darnell, on the value of emotional intelligence for the construction professional. Brent does fantastic work in this field, specifically in the construction sector. Brent Darnell is a mechanical engineer and a graduate of the Georgia Institute of Technology. After working in the construction industry for twenty years, he started his own leadership development company. He is a leading authority on emotional intelligence and a pioneer of its use in the construction industry. Since 2000, Brent has helped to improve the social competence and leadership skills of thousands of people in over 70 companies in more than 20 countries around the world. He is an adjunct professor at Auburn and Penn State, teaching emotional intelligence to their technical students. His book, The People-Profit Connection, How Emotional Intelligence Can Maximize People Skills and Maximize Your Profits, has received rave reviews throughout the industry, including Engineering News Record, and has been read by over thirty thousand people worldwide. His Tough Guy series of books are now available at all online booksellers. He was recently named one of the Top 25 Newsmakers for 2012 by Engineering News Record for “transforming alpha males into service focused leaders” and “connecting his emotional intelligence training approach to business success”. He believes in a holistic approach to personal development, creating fundamental and lasting change. He is certified in Applied Improvisation the EQi 2.0. He practices yoga, plays guitar, and is an avid reader. 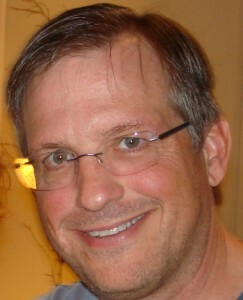 He lives in Atlanta, Georgia with his wife, Andrea and his dog, Jethro. One of the reasons it took me a while to publish an episode of the Construction Industry Podcast is that I have been busy writing a book. Last September I ran a crowdfunding campaign to raise some cash for the self publishing of my first book, called Project Management for You. I have to say the campaign was a huge success and now I’m busy writing and finishing the manuscript. 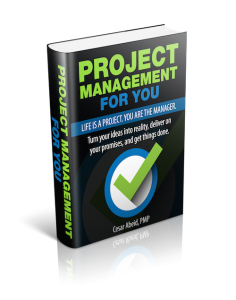 Check out http://projectmanagementforyou.com to preorder my book reserve a copy off the first batch!